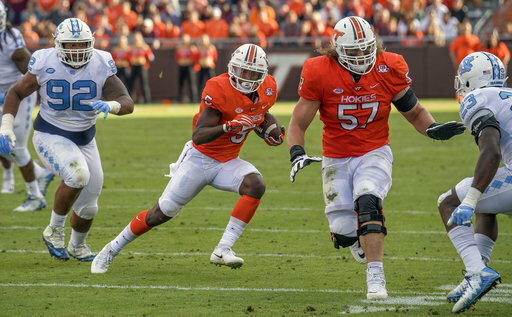 Key Stats: Three year starter at Virginia Tech, where he was a teammate of Tremaine Edmunds. First team All-ACC in 2017 as a senior. Most of starts at left guard. Where He Fits on Bills: In the mix to replace Richie Incognito at left guard. Will compete with Miller, Groy/Bodine, Newhouse. Much needed body to add to the competition at a wide open position. Who He Pushes Off Bills Roster: Possibly Miller if the veteran loses out to Teller. Expected to Start Right Away? : Maybe. No clear leader for the left guard spot. If Ducasse stays at right guard, and Bodine replaces Wood at center, then Teller will compete with Miller & Groy. Paul’s Take: Very strong player, a mauler. Doesn’t appear to be very athletic. That can work at guard. Hard nosed and a competitor. Plenty of starting NFL guard have those qualities. Could compete to start at left guard with a great training camp. May wind up earning a backup spot, or on the Bills practice squad while he works on his athletic ability. Strong guys can make it in the NFL if the scheme matchs them. Played at a high level in a good school in a good conference. Seems to me the kind of player Bills fans will root for.